PelÃ© and Kylian MbappÃ© communicated for the first time using social media during the FIFA World Cup 2018â„¢. Between the two men, there is spontaneity, respect, shared values, a great love of life and a common passion: football. Past, present, future, two great men unitedby a passion for football and a love of life. 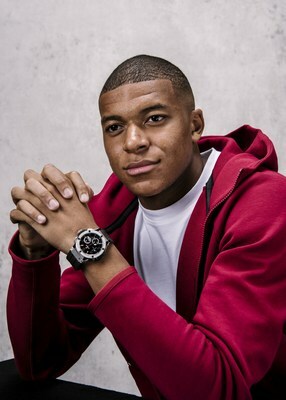 "Kylian is the first current footballer to represent the brand. He follows on from Usain Bolt, with whom he shares many values. 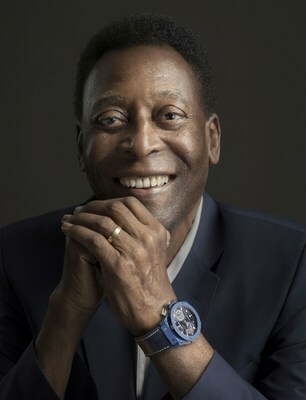 In becoming a Hublot ambassador, Kylian joins the legends of football, and King PelÃ© in particular. These two men have both recently displayed their common values on social networks. Welcoming Kylian MbappÃ© into our family conveys a powerful message. The fusion of time, the power of dreams and passion, the magic of a sport; all of which are values an athlete inspires. When you meet Kylian he is, first and foremost, a good person; a man who embodies the future and all that it holds in store. Being able to bring together PelÃ©, the patriarch of our Hublot Family, and Kylian, our youngest-ever ambassador, is just one of those unique moments in life, an instant where time stands still to mark history forever." "He is a fantastic athlete; he thrilled me during the 2018 World Cup, he made me want to dust off my football boots and join him on the pitch. He hasn't fully realised it yet, but he has left his mark on history and, above all, he will keep the moments he experienced and the feats he has accomplished deep within himself. When I followed his games during the World Cup, I could feel my body run, my feet score, my heart beat with this intense joy, that of victory. I just had to tell him and now I just have to meet him! Well done and welcome Kylian." "It's a huge honour to meet Mr PelÃ©. And a great source of pride to find myself at his side in the Hublot family. For me, Hublot is a real favourite. I've been a fan of their watches and their philosophy for a long time. The encounter with Jean-Claude Biver and Ricardo Guadalupe, who run this company, was a decisive one. I need to be able to identify both with the values of the brand with which I partner and the people behind it. Hublot embodies this fusion of innovation, new technologies and materials, which greatly appeals to me. They unconditionally support my sport and are associated with my finest moments in football, so I am proud to become the first current footballer to act as an ambassador for the brand! That's why I am Hublot!"